"We aren't here to start a fight." Akamu almost snorted in disbelief. For someone not looking for a fight she was really good at popping in out of nowhere and terrifying Kaleo. But the tiny monkey's trembling and former praise of the bug-moth thing had him at least considering her words before blowing them off. "If you're looking for someone or something, we may be able to point you in the right direction. If you're passing through, we won't stop you. Once again, if you're looking for the Swampert with the small bird, he was here earlier, but it appears that he has left. I can try helping you catch up to him if you need it." "Yeah, we are looking for someone but we have never seen a 'Swampert' before. Heck we haven't seen anyone in this town all day until you guys." "Our friends!" Kaleo had been peering over Akamu's small head a bit as the conversation lightened but the flame monkey's sudden yell made him duck again. Though he seemed embarrassed by the action himself so it helped the Mudbray settle a bit as he continued, once again peering over Akamu to see the group better. "We- s-some of our friends are missing? There was a cat and- and a couple of other kids? A G-Growlithe and a Houndoom? We c-can help you find y-your missing friends and you could he-help us find ours, m-maybe?" "Like I said we haven't seen anybody." Kaleo nudged Akamu as he spoke and tried to silently coax him to be nicer to little monkey. He liked the little thing. The Rockruff sighed but turned and gave him a small smile and nod to show he understood. "Look, uh, I might be able to sniff out a trail but nothing is scenting strong enough to still be in the town. I don't know that your friends are still here any more than our own is. Sorry..."
The small puppy replied, "Yeah, we are looking for someone but we have never seen a 'Swampert' before. Heck we haven't seen anyone in this town all day until you guys." Well, that settled that. She wondered who or what they might have been looking for. Oliver blurted out, "Our friends!" What? Isolde looked incredibly confused until the monkey explained himself, "We- s-some of our friends are missing? There was a cat and- and a couple of other kids? A G-Growlithe and a Houndoom? We c-can help you find y-your missing friends and you could he-help us find ours, m-maybe?" Oh... was that what the two dog Pokemon were called? She really didn't think that the three pokemon were anywhere nearby, but shooting down the possibility didn't seem like a good idea at the moment. "Like I said we haven't seen anybody," the puppy answered sharply. The larger Pokemon nudged him as if to calm him down, and the dog's next words weren't as harsh. "Look, uh, I might be able to sniff out a trail but nothing is scenting strong enough to still be in the town. I don't know that your friends are still here any more than our own is. Sorry..."
Isolde tilted her head and her hands fidgeted with the goggles around her neck as she considered the offer. "The only one that might still be around would be Shadowmere... she disappeared about when the Swampert showed up... The others disappeared last night." The big question was should they even bother at this point? She offered, "We have the blankets she slept in if we wish to try." However, her eyes were drawn back to her burden from earlier. She didn't like leaving the dead out for so long... She floated closer to the body, "Before we go too far, I.. I would prefer to take care of this before something tries to eat it. I was trying to bury it before the Swampert showed up." "Like I said we haven't seen anybody," snaps the rock puppy. Oliver shrinks in on himself a little, shoulders hunching and mouth opening, debating whether or not to point out that he'd meant the point to be 'we'd like your assitance in locating our friends and we'd be glad to return the favor.' Was he just not clear enough? But how much clearer could he have phrased that...? The donkey nudges him and the dog sighs, turning a softer look on Oliver, the chimp perking up just a bit at the sight of the smile. Despite his anxiety, his brain is eager to grasp at the comforting message the smile sent even if that disregards the puppy's obvious irritation of not even a minute ago. "Look, uh, I might be able to sniff out a trail but nothing is scenting strong enough to still be in the town. I don't know that your friends are still here any more than our own is. Sorry..."
Isolde's head tilts a bit in what he can only assume is thought as she plays a little with her goggles. "The only one that might still be around would be Shadowmere... she disappeared about when the Swampert showed up... The others disappeared last night." His heart sinks. He'd hoped that maybe the other Oliver had stuck close to the town when he didn't find his father, but it's entirely possible the eager fire puppy went running into the woods (not even onto Route 1, where he could easily follow the road back) and got lost. "We have the blankets she slept in if we wish to try." Her eyes glance back to the body and Oliver winces, shrinking into the doorway this time instead of into himself. "Before we go too far, I.. I would prefer to take care of this before something tries to eat it. I was trying to bury it before the Swampert showed up." "Y-yeah," he agrees, averting his eyes from the dead human. "I don't th-think it's led anyone to us yet but it's not worth risking. If-" He looks up at Isolde, hands moving to fidget with his scarf. "If you don't mind, they can- come inside? Unless they want to help you dig? Actually-" Duh, he has Dig has a move. "I can help with digging too, i-if you need it?" "The only one that might still be around would be Shadowmere... she disappeared about when the Swampert showed up... The others disappeared last night." Yeah, they probably weren't gonna be around anymore. Akamu was a little more sympathetic to the bug-thing knowing that she had just lost track of some of her companions especially since he and Kaleo were still looking for their trainer. "We have the blankets she slept in if we wish to try." Well he would certainly be able to distinguish a scent from that though he was afraid trying to help them track their friend would take them in the opposite direction of wherever Jesse went. "I can try and pick up your friend's scent but I'm afraid the best I can do is point you in a direction, I don't want to lose the trail we are already on since it is already pretty weak." Kaleo nodded. "If we lose him now we may never find him again." "Before we go too far, I.. I would prefer to take care of this before something tries to eat it. I was trying to bury it before the Swampert showed up." Oh yeah, the stiff in the sheet. Well if there was one thing the two were good at it was digging. "Y-yeah, I don't th-think it's led anyone to us yet but it's not worth risking. If-" The poor monkey looked like he was ready to twitch right out of his fur he was so nervous. "If you don't mind, they can- come inside? Unless they want to help you dig? Actually- I can help with digging too, i-if you need it?" "We're pretty good diggers ourselves, in fact that used to be Kaleo's only job back home. If we found you because of the stiff then others can for sure. Might as well bury it." Kaleo smiled at Akamu's slowly changing attitude. He wasn't always so gruff he just got protective. If he was opening up maybe he could try as well? "I can move several hundred pounds of dirt," his said quietly. "If you-" he shifted nervously, legs crossing and uncrossing in front of him. "If you dig the hole I can fill it in only a minute or two. If you want..."
The puppy offered, "I can try and pick up your friend's scent but I'm afraid the best I can do is point you in a direction, I don't want to lose the trail we are already on since it is already pretty weak. If we lose him now we may never find him again." The larger Pokemon nodded with the puppy's comments. In response to Isolde's comments about the body, Oliver shrank into the door frame before he nervously agreed, "Y-yeah. I don't th-think it's led anyone to us yet but it's not worth risking. If-" The monkey began fidgeting with his scarf, he continued, "If you don't mind, they can- come inside? Unless they want to help you dig? Actually- I can help with digging too, i-if you need it?" "We're pretty good diggers ourselves, in fact that used to be Kaleo's only job back home. If we found you because of the stiff then others can for sure. Might as well bury it," the puppy helpfully added. The young one's attitude was becoming more welcoming, and she hoped that would smooth things over with Phobos. She wasn't sure if they would be staying long, but conflict between allies was not something she felt ready to handle. The larger and quieter Pokemon finally addressed her, "I can move several hundred pounds of dirt. If you- If you dig the hole I can fill it in only a minute or two. If you want..." During his offer, he crossed his legs in a nervous fashion, but she appreciated the effort he was making to talk to her. "I would appreciate any assistance with the task," she admitted. "While I am able to do it, it is difficult for me to dig, and this would need a large hole. I'm not used to digging that deep." She had only decided to do it earlier because Oliver seemed too panicky, and Shadowmere had been forced to sleep. She looked at the shallow beginning of a hole that she had attempted, and even she had to admit how weak the attempt seemed. Without any time to waste, she floated low to the ground and began to dig; her small appendages making very little progress. "We're pretty good diggers ourselves," said the puppy, Oliver brightening a touch. He sounds much calmer now; maybe he's not mad at them anymore. "In fact that used to be Kaleo's only job back home. If we found you because of the stiff then others can for sure. Might as well bury it,"
But what did he mean about the other scent he picked up? They mentioned friends of their own; do they actually have their scent? "I can move several hundred pounds of dirt. If you- If you dig the hole I can fill it in only a minute or two. If you want..." Oliver smiles at him, noting the way he holds himself. If his voice doesn't make it painfully obvious, his posture sure does; he's still really nervous. Does he not realize they'd probably lose in a fight? Well... unless Isolde is really strong. And she might be. "I would appreciate any assistance with the task," Isolde said to them. "While I am able to do it, it is difficult for me to dig, and this would need a large hole. I'm not used to digging that deep." She moves to continue digging. Oliver clears his throat. "W-well actually ma'am, you don't ne-need to. He and I," he he says, nodding to Akamu, "can do it all just fine? It p-probably won't be more than a few minutes." Eager to get the job done and lay the human to rest, he cracks his knuckles and gets to digging. True to his word, it doesn't take more than maybe five minutes to get the hole dug; having two Pokemon who have ground type moves makes all the difference. He climbs out of the hole, shaking the dirt off a little as he smiles again at Kaleo. Thank god they have someone who can fill the hole easily. Despite Phobos' annoyance with the strangers (well, one of them), it's not enough to mask his disappointment when the dog confirms he doesn't know where Shadowmere is. They really aren't going to see her again, are they? Unless she comes back...but he's not holding out hope. Though Phobos barely got to know her, there's still a pang of loss; she would always have a place as the friend-that-could-have-been. Now, they're stuck with these newcomers who may or may not want to stay. At least the one Phobos didn't quite like is acting civil...if the dog can be polite, then he can be too. So there. The conversation turns toward the task of burying the dead human with the strange wound inflicted by a...um...oh, right, a "gun." Thinking of the metal device still confuses the incorporeal ghost, and to his own surprise, he's not particularly interested in learning more about such a thing. Maybe some ideas are better left to creatures of flesh. For now, he is perfectly content being the resident bastion of ghost and ghost-like knowledge. To Phobos' disappointment, all this talk is about digging and whatnot. That's not something he can help with, being literally made of mist. To make matters even worse, it seems that everyone can help out except himself. Once again, dissipating is starting to look like a great use of his time. When is the last time he's done something useful, during the room search? And after that, his Hypnosis probably caused Shadowmere to run off. Great track record. What if these strangers end up 'ousting' him as a useful member of the group? No, he can't let that happen, not when Phobos has finally found people to stay with. "Sorry. I'd help if I could, but, you know," he adds to the others' offers with a grimace, "No limbs." It's not fun to watch a job be done and be utterly unable to contribute, and so Phobos simply stays quiet in order to avoid needlessly distracting anyone. Despite how useful, fun, and familiar being a ghost could be, he envies the deft movements of the corporeal Pokemon. Man, if only he could match their dexterity and manipulation of the natural world. The possibilities would be endless. "I would appreciate any assistance with the task," Kaleo sighed in relief, a timid smile playing across his muzzle. She was nice. A lot nicer than some others he and Akamu had found. "While I am able to do it, it is difficult for me to dig, and this would need a large hole. I'm not used to digging that deep." Her affirmative and Kaleo's easy sigh put Akamu at ease about the small donkey still being scared of her, or her of them. It was a lot easier to put his hackles down when his easily frightened friend wasn't afraid. The little monkey seemed keen on digging which made him alright in the Rockruff's book because dirt and rocks where his number one favorite thing. "W-well actually ma'am, you don't ne-need to. He and I can do it all just fine? It p-probably won't be more than a few minutes." "Sorry. I'd help if I could, but, you know, no limbs." Akamu shrugged. "No worries won't take long. Besides you ghosties got better than hands, you got scares. Back home there's a really cool old building a bunch of ghosts haunt and they make stuff float around and get real creepy dark. It's neat." Even as he spoke he hopped into the dirt with the fire monkey and began to dig. The hole was pretty simply dug and Akamu felt better than he had in ages dragging his paws through that much soil. His nose filled with the scent of earth and he grinned, checking once or twice on the monkey as they worked. Now that he thought about it he really needed to call the guy something other than 'monkey' if they were going to hang around for the night. Only name they knew was Isolde. Once they were done he climbed up out of the hole and shook the soil from his fur, a small ring of dirt forming around him from his efforts making both he and Kaleo smile, the Mudbray happily returning the one from the Chinchar. Kaleo gave him another friendly nudge and nodded his head towards their company, a silent battles of wills going once the pair locked eyes. Eventually the Mudbray's cute pout won over and Akamu cleared his throat. "So uh, I know her name but gotta say I can't keep calling you guys Monkey and the Ghastly. You got names too? Mine's Akamu," another nudge, "and this here's Kaleo. We...ain't really from 'round here. Heck only thing I can recognize is Ghost Boy here. We don't have your kind back home that I've ever met." Phobos apologized, "Sorry. I'd help if I could, but, you know, No limbs." "I'm not much use here either," Isolde states factually. Some pokemon were simply better at handling different tasks. Digging certainly wasn't her strong suit. The pup also tried to comfort Phobos, "No worries won't take long. Besides you ghosties got better than hands, you got scares. Back home there's a really cool old building a bunch of ghosts haunt and they make stuff float around and get real creepy dark. It's neat." After he said his piece, he joined Oliver in digging the hole. The ease with which the two dug was impressive, and a hole big enough to contain the dead human was soon finished. Once the two climbed out, there was a smile shared between Oliver and the horse like Pokemon. She really ought to ask their names... Before she can ask the question herself, the bigger one nudged the puppy, and after a staring contest, the pup spoke up again, "So uh, I know her name but gotta say I can't keep calling you guys Monkey and the Ghastly. You got names too? Mine's Akamu." With another nudge, he continued, "and this here's Kaleo. We...ain't really from 'round here. Heck only thing I can recognize is Ghost Boy here. We don't have your kind back home that I've ever met." She waited for Phobos and Oliver to introduce themselves; even if she was the de facto leader, she didn't like speaking for others completely. Finally, she had a name for what Phobos was. She was also curious about what Oliver's species was called. Once their introductions were done, she replied, "I'm a Vivillon... From what I hear, we have a lot of different wing patterns, but I'm only familiar with my own." After a pause she added, "I'm not familiar with what you are either... my swarm was rather isolated." It warms his heart to see Phobos and Akamu get along even if just a little, though he has to disagree about the scary stuff the ghosts get up to in the building back where Akamu lives; that sounds more scary than cool. But- well, maybe it is kind of cool. In a terrifying way. "So uh, I know her name but gotta say I can't keep calling you guys Monkey and the Ghastly. You got names too? Mine's Akamu." His companion gives him another gentle nudge. "And this here's Kaleo. We...ain't really from 'round here. Heck only thing I can recognize is Ghost Boy here. We don't have your kind back home that I've ever met." "I'm a Vivillon..." Isolde speaks up after Phobos has his turn. "From what I hear, we have a lot of different wing patterns, but I'm only familiar with my own." She pauses for a moment before adding, "I'm not familiar with what you are either... my swarm was rather isolated." Phobos tries not to gape too much as the dog speaks. He knows this much about ghosts? Wait, an entire building just filled with them? It's a lot to take in at once. His lingering annoyance drains away; he has to know more about this! Too bad they're in the middle of working...Phobos will have to ask later. His curiosity has surfaced from beneath the fog of petty anger, eager to learn more of his other incorporeal cousins without having to confront them directly. After all, a ghost haunt would no doubt attract a certain somebody he wants to avoid, so a secondary source will have to do for now. After the work is done (with Phobos spacing out a little bit), the dog addresses them again. Phobos almost disappears entirely when his species' name is thrown out, the dog's knowledge exceeding all known expectations. Maybe he's not so bad, after all! "So uh, I know her name but gotta say I can't keep calling you guys Monkey and the Ghastly. You got names too? Mine's Akamu." A lot of his actions seem to be encouraged by his companion, Phobos has noticed, and it happens again when the bigger Pokemon nudges him. Huh. They must be really close. Either that, or the shy one is hiding something darker...hopefully not. Phobos is sick and tired of bad people. Still, as caution demands, he'll be keeping a very close eye on the pair. "And this here's Kaleo. We...ain't really from 'round here. Heck only thing I can recognize is Ghost Boy here. We don't have your kind back home that I've ever met." G-Ghost Boy? 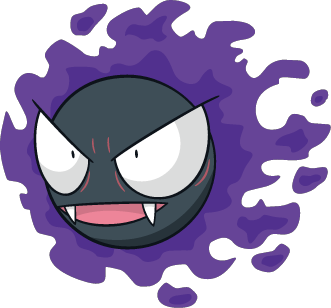 Didn't Akamu already mention the name Gastly? "Oh, I'm O-Oliver. I'm a Chimchar. Sinnoh native. I lived in Jubilife, the biggest human settlement in the region." Ah, he finally has a name for what Oliver is: Chimchar! Phobos has no idea what a Sinnoh is, nor Jubilife, but the mention of humans is enough to spark his interest. He files the questions into the back of his mind for later; they sure are piling rather quickly throughout this conversation. "I'm not really s-sure where we are, either. I know I was in Johto for awhile; my human and her father were on vacation there, so... this is either Johto or maybe Kanto? It's... very far away." None of these names are familiar to him, so Phobos can't really understand the distances between any of them. He can gleam that they're locations, obviously, but what kind they are specifically is a mystery. Well, even if Phobos can't chime in with fancy names, he still has to toss in his piece. "I'm Phobos," he adds in, trying not to feel too uncomfortable; with his earlier irritation towards Akamu abated now, the emotional void is filled with his shyness instead. "I'm not from around here either...but I can't really give you a name for where I'm from, sorry." With that bout of awkwardness done, Phobos can hope nobody thinks he's being too weird. He genuinely doesn't have a name for his home. Honestly, he'd be happier forgetting about the place entirely, along with the memories of his sibling. All of it could float away on the wind, and Phobos would be a lot happier. 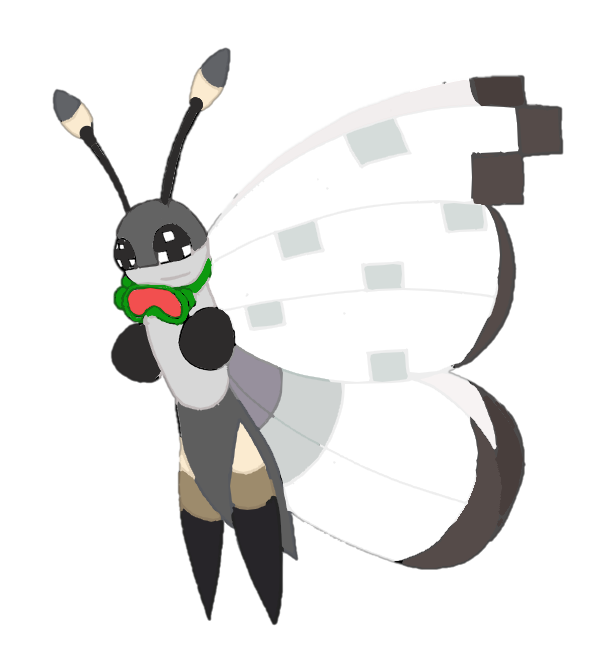 "I'm a Vivillon...from what I hear, we have a lot of different wing patterns, but I'm only familiar with my own," Isolde says, "I'm not familiar with what you are either... my swarm was rather isolated." Different wing patterns? That sounds really cool. Phobos doesn't get what a swarm is, but he figures it's the name of her home. Man, Isolde and Oliver have such interesting lives; Phobos wishes he could say the same. If he never existed, things probably would be no different. What a sad thought. Kaleo smiled shyly as everyone started to introduce themselves. It was starting to feel more like home that way, all friendly and neighborly. "Oh, I'm O-Oliver. I'm a Chimchar. Sinnoh native. I lived in Jubilife, the biggest human settlement in the region." Chimchar…it suited the little guy. "I'm not really s-sure where we are, either. I know I was in Johto for awhile; my human and her father were on vacation there, so... this is either Johto or maybe Kanto? It's... very far away." "I'm Phobos," Ghost Boy chimed in causing Akamu to turn his focus. With everything calmed down it seemed like Phobos here wasn’t so aggressive anymore. That would be a big help to keeping Kaleo calm. Yeah, he could work with that. "I'm not from around here either...but I can't really give you a name for where I'm from, sorry." Eh, that was fine. Lots of wild pokemon had similar stories back home, though it seemed like not knowing bothered Phobos. Maybe he wasn’t used to having to explain that? "I'm a Vivillon...from what I hear, we have a lot of different wing patterns, but I'm only familiar with my own," Isolde replies, bringing the pairs focus on her as she spoke. "I'm not familiar with what you are either... my swarm was rather isolated." Kaleo was impressed by the thought of a species with so many variations. Isolde’s were really pretty could there really be more that pretty? Isolde had many questions about her group at this point. However, now that polite niceties had been taken care of, they still had a job to finish. "I do have some, but first we need to take care of this," she said while gesturing at the body. She floated over to it and started yanking it towards the now deep enough hole. It didn't take long since she actually knew where to pull it, and, after a little finagling, the body fell into the whole properly. She paused for a moment and quietly asked, "That dead Pokemon was likely this human's companion, wasn't it?" Not really expecting an answer, she spoke louder, "Before we finish this... There was one more body in there. If they were friends... It only makes sense to bury them together. I'll be right back." With that said, she flew back inside the house, the door handle becoming less of an obstacle as she got used to using it. It didn't take her long to move back to the room that had the rest of the ruined fabric, and she dragged it towards the bathroom. Once there, she pulled the door open, and thankfully the sweet smell from her attack earlier hadn't left yet. She threw the fabric over the beheaded body and the head before floating over and opening the window as wide as possible. It took her a bit, but she finally managed to tuck the fabric under the body and arrange it like a sack. The small, dehydrated, and starved body was much lighter, and it didn't take her much effort to pull it up and out the window. Isolde gently placed it outside and closed the window behind her before picking it back up. When she made it back to the children, the smell of undeath was hopefully hidden under the sweet, flowery smell of Aromatherapy. "I'm not sure what the customs here are, but friends were often buried together..." She didn't want to violate some other custom she wasn't aware of. It would also be more practical to just throw them in the same hole, but phrasing it like that would be disrespectful to the dead. The others introduce themselves, Oliver feeling a pang of sympathy for Phobos. It must be hard to not even know where you're from. Or- maybe not? Does that sort of thing matter that much to wild pokemon? He doesn't seem particularly bothered by it; maybe Oliver shouldn't either. Gosh, when was the last time he even met a wild pokemon before this? Before the apocalypse, anyway, where he could talk to people without being scared of being attacked. ... Well okay, he'd always been scared of being attacked, even before this. I guess even if I got any time to spend with a wild Pokemon before all this, not much talking would've happened. Just a lot of hiding and waiting for Anne to come find him. "I do have some, but first we need to take care of this," Oliver nods, agreeing; it's best to put the poor human to rest and then they can get to know each other. It's not very hard for Isolde to get the body into the hole, but instead of giving the okay for Kaelo to fill it in, she pauses "That dead Pokemon was likely this human's companion, wasn't it?" Eyes downcast, he nods. Yeah. They probably were. "Before we finish this... There was one more body in there. If they were friends... It only makes sense to bury them together. I'll be right back." She flies back into the house, Oliver doing his best to avoid looking into the grave. Maybe a change of topic would help? Reaching for something to say, he grasps at the first thing that comes to mind. "My human r-really wanted to visit Alola someday. Is- is it really as pretty a-as in the pictures?" Isolde returned with the smell of flowers. That's right, she knew Aromatherapy. "I'm not sure what the customs here are, but friends were often buried together..."
Phobos wasn't left long dwelling on his melancholy thoughts. The conversation picked back up, regaining his attention. “I wouldn’t imagine any mainlanders would know what we are unless they spent time in Alola,” Akamu says, leaving Phobos to wonder what the heck an “Alola” was, or for that matter, a mainlander. All of this new information and no real chance to process it all is leaving him feeling a little dispersed. Would they ever get an opportunity for some quiet reflection time? Probably not; it's a shame having to rush like this. He would like to have even a few minutes to mull over all this acquired knowledge. Ah, then “Alola” must be this “island chain”, right? He has no idea what an island chain is, but from what Akamu said, they're open to further explanation to sort out all of the confusing stuff. Phobos has a million questions swirling through his misty form, most of them pertaining to their 'Alola' and about what they are (he's never heard of Rockruffs and Mudbrays before), but he's not sure what words to use. Things are awkward, considering how theyd snapped at each other before. His earlier animosity still stings, but even so, there's no reason to be mean, especially not to someone who apparently knew all about ghosts. "That dead Pokemon was likely this human's companion, wasn't it?" Is she talking about that creature he found inside the weird white room? The one without a head...as soon as Phobos thinks that, the macabre image pops up in his mind. He grimaces. In that object Oliver called a “photo”, those humans and their companions seemed happy; his own relationships were either horribly frightening, or with his parents, distant. It's alien, the idea of two creatures being so close that others would place them side by side even after death. That would never happen to him. He probably wouldn't leave behind anything to place somewhere. "Before we finish this... There was one more body in there. If they were friends... It only makes sense to bury them together. I'll be right back." As she flutters off, Phobos and Oliver are left with the new Pokemon, and yes, things are still awkward for him. It doesn't help that he's been thinking about serious topics, and not just now either; this entire day has been one chaotic incident after the next. They've offered to answer questions already, and as much as Phobos really wants to, the words aren't forming. He doesn't want to bumble saying a question and look dumb, either. Admittedly, floating around and saying nothing also looks dumb. There's no winning! Luckily for everyone involved (or maybe just himself), Oliver speaks up, and with a less depressing topic than death and burial. "My human r-really wanted to visit Alola someday. Is- is it really as pretty a-as in the pictures?" Phobos is curious too. He knows nothing of Alola, and here he is, with two Pokemon straight from the very source. What luck! Phobos still doesn't really know what to say or ask, but he's more than happy to listen. Even though he'll likely never travel as far as he would like, it's fulfilling to learn about these different places and Pokemon. Too bad there aren't any other ghosts-friendly, of course. Soon enough, Isolde returns with the gruesome body from before (discovered when Shadowmere still remained with them-the recollection casts a shadow over him). "I'm not sure what the customs here are, but friends were often buried together..."
Were they? Phobos wouldn't know. When he'd called Isolde his friend earlier, it'd been...spur-of-the-moment, as awful as it sounds. He doesn't know what friends are in anything but definition; his only company in his entire life had been his family up until yesterday. Could Isolde and Oliver be considered his “friends”? What about Shadowmere? Why's he thinking such selfish thoughts right now? It isn't helping him, asking all of these mental questions and agonizing over every little thing; it's nothing but endless stress. As much as Phobos is disconnected from the idea of a physical form (and customs), he can't see separating the Pokemon and the human as a good idea. They would want to be together, right? Like Isolde, he doesn't know anything about how things are done in this place, nor does he understand the ways of corporeal Pokemon. "I do have some, but first we need to take care of this," Akumu nodded as she pointedly indicated the corpse that had led he and Kaleo to this small band. As the butterfly began to drag the body into the pit they had made Akamu moved to the other side of the pit to check on his friend who seemed uneasy around the dead human. He was probably trying not to think of their missing trainer just like he was. It had been a while since they had a strong trail to follow which hopefully just meant they were lagging too far behind and not that soon there would be no trail at all. Dead pokemon? Those two words had Kaleo cringing and he looked towards the little house in fear of what may yet still lay within. What had happened within those walls? He was beginning to get riled up and as his nerves began to fray he found himself unable to keep still, like there were thousands of tiny insects crawling around inside of his skin that he needed to shake off. "Before we finish this... There was one more body in there. If they were friends... It only makes sense to bury them together. I'll be right back." "My human r-really wanted to visit Alola someday. Is- is it really as pretty a-as in the pictures?" Ooh! A distraction! That might work! "Prettier," he replied, glancing over at Oliver for a moment before nodding towards Kaleo. "Pictures can't capture the vibrant colors, the sounds of the sea as it rolls onto the shore front every direction, the smell of flowers blooming in every corner of the island... They try with all their tourist flyers and those glowing picture boxes the humans watch but it isn't the same. It's always lacking. Though I guess Alola is called paradise for a reason." It seemed to be working. As Akamu described their home Kaleo's fidgeting grew less and less putting the Rockruff at ease as well. He was going to offer a few more insights to their home but Isolde came back and Akamu didn't want to interrupt her as she carried yet another fallen soul to the pit. "I'm not sure what the customs here are, but friends were often buried together..." Kaleo nodded alongside Akamu and watched quietly as Isolde lay the poor beast to rest with his trainer. "I'd want to be with Jesse if something bad happened to us," he whispered in response, taking up a position beside the mound of dirt to be ready to kick it in once Isolde was done. "When you devote your life to someone....you want to stay with them forever. Even if that life is gone...." Akamu let out a small whine at Kaleo's words and nuzzled one of his legs. They would find their trainer. They had to. They wouldn't end up like this before being together again. 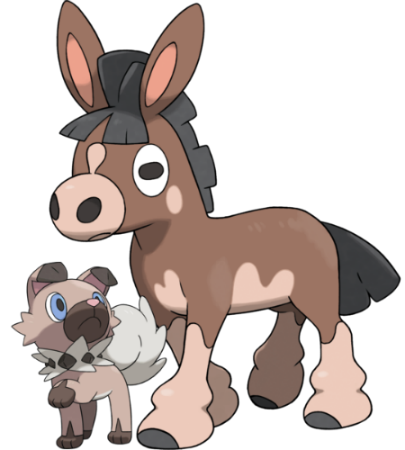 The Mudbray whispered, "I'd want to be with Jesse if something bad happened to us," as he moved over to the mound of dirt. "When you devote your life to someone....you want to stay with them forever. Even if that life is gone...." Akamu, noticing Kaleo's melancholy started nuzzling his sibling in a comforting manner. The sight brought up the uncomfortable thought that she had no one like that before. Maybe Kelvin? But he had his mate and children. Fiona? Who also had her own mate and children. And Isolde had no one, really. If she did her job right, then the children here would survive long after she passed. That was assuming that they'd put up with her for a long time, though. As she quashed the thoughts, she floated over the hole and lightly placed her burden on the body of the human already occupying the hole. "Alright," she spoke to Kaleo, "You can cover them..." She hadn't known the creatures in life, and she hoped that getting this finished quickly would lighten the mood. When the deed was done, she tried to change the topic, "If you're from across the ocean... How did you get here?" The ocean was the large amount of salty water, right? How would two... rather landlocked creatures get here? "Alright, you can cover them..." The donkey didn't need any further prompting to begin kicking the mound into the hole, large hills of dirt moving almost effortlessly beneath his powerful legs. After the pile was as replaced as possible he began to delicately stamp the dirt to smooth out the surface and make it less likely for anything to scent out what was beneath or try to re-dig it. Once it was more or less level Kaleo stepped away from the grave and became once again joined at Akamu's hip seeking comfort in the form of his smaller companion. "If you're from across the ocean... How did you get here?" Akamu looked away from his brother for a moment to address Isolde's question with a gentle pat of his paw to the donkey's hoof. "A ship carried us across the ocean with our trainer and his Pa. We were supposed to be here only a few weeks but... Yeah. I'm sure you can guess what happened to keep us here." With efficiency, Kaleo began kicking the dirt into the hole, and soon, both bodies were hidden to the world. The Mudbray levelled the dirt to make it less obvious as to what it was before heading back to his brother. Akamu glanced away to look at Kaleo for a second before answering her question, "A ship carried us across the ocean with our trainer and his Pa. We were supposed to be here only a few weeks but... Yeah. I'm sure you can guess what happened to keep us here." A ship? What was that? The word was unfamiliar to the wild Vivillon, and she tilted her head in confusion. However, before she could ask, her stomach reminded her of when she had last eaten. It wasn't painful, yet, but her hunger was only going to get worse. She glanced over to Oliver and was reminded that he hadn't eaten either. She awkwardly tried to segway the conversation into more immediate problems, "Uh. As much as I'd like to ask more, we haven't been able to look for food." Realizing just how dismissive that sounded to the newcomers, she added, "If you want, you can join us." "Prettier," the rock pup answered, meeting his gaze a moment before looking over to his companion. "Pictures can't capture the vibrant colors, the sounds of the sea as it rolls onto the shore front every direction, the smell of flowers blooming in every corner of the island... They try with all their tourist flyers and those glowing picture boxes the humans watch-" He must mean the TV. "-but it isn't the same. It's always lacking. Though I guess Alola is called paradise for a reason." The nervous donkey seemed to be calming down. Was that Akamu's plan all along? If so it was a pretty smart idea; even Oliver had calmed down during the tangent, trying to piece together a picture of the tropical paradise using the pup's words. The good feelings were cut short by Isolde's return, the chimp averting his gaze at the sight of white wings. He didn't want to cry in front of strangers just yet. "Dunno about where we are," he mumbled, "but in Sinnoh pokemon are buried at Lost Tower, usually." He rubbed some tears from his eyes. So much for not crying. "I t-think this is- this i-is nicer. They'll always be together that way, right?" The levels of childishness he felt for that comment punched through the roof, but to his immense relief, he wasn't the only one. "I'd want to be with Jesse if something bad happened to us," added Kaleo in a whisper as he moved to be ready to fill the grave. "When you devote your life to someone....you want to stay with them forever. Even if that life is gone...."
And young and afraid, just like him. But probably better put together. Akamu by a landslide, at least. ... Hah. Landslide. Let the record show: sometimes I'm funny. Maybe. "Alright, you can cover them..." He watched in silence as Kaleo got to work, filling the grave and then smoothing the top out. Probably to hide the fact that it was where dead were from any undead that came their way. That's right. She wouldn't have any concept of a ship. "A ship carried us across the ocean with our trainer and his Pa. We were supposed to be here only a few weeks but... Yeah. I'm sure you can guess what happened to keep us here." Oliver swallowed. He didn't have to guess. "Uh. As much as I'd like to ask more, we haven't been able to look for food." Oliver blinked, looking over at her as his stomach chose then to recognize the word 'food' and plead for some. "If you want, you can join us." "She doesn't know what a ship is," Oliver adds softly to the other two boys, wanting to help cover for Isolde's unintentional fumble. "I think she was a really isolated wild pokemon." Looking back to Isolde, he frowned in contemplation. Food. Where would they find that? "The houses won't have food anymore that's safe to eat. But if there were pokemon here, I bet some of 'em had berry bushes growing in their backyard. The entire town couldn't've been hit by the fire so some of them might still be alive? Even if we don't find any of them in town, the forest should have some; that's what I've been eatin- oh!" His face lit up, full of sunshine, a lightbulb going off in his brain. "Berry bushes grow when you bury a berry and water it! Anne had some in her backyard for us! If we can find even just one berry, we can bury it in this backyard here-" he pointed through the house that sat in front of them, "-and if we water it every day, we should get a berry bush of our own in like, a week maybe? Self sustaining food source!" The moth woman seemed puzzled by his answer and it left Akamu feeling confused. Had he not described it right? Had he said something wrong? "Uh. As much as I'd like to ask more, we haven't been able to look for food." It was awkward having the conversation take such a random turn without really concluding what they had been talking about but at the sound of food he heard Oliver's stomach rumble quietly followed by Kaleo's. Okay, food was probably a good idea. "If you want, you can join us." "Yeah. We'd...be okay with that, actually." Kaleo smiled at Akamu's acceptance of Isolde's offer and nudged him softly. Oliver did his best to help cover up the weird pitfall in their discussion too. "She doesn't know what a ship is, I think she was a really isolated wild pokemon." Oooooh. That made a lot more sense actually. Describing a ship without knowing at least kind of what one was would be impossible so it made sense his description went over her head. Poor moth lady. "The houses won't have food anymore that's safe to eat. But if there were pokemon here, I bet some of 'em had berry bushes growing in their backyard. The entire town couldn't've been hit by the fire so some of them might still be alive? Even if we don't find any of them in town, the forest should have some; that's what I've been eatin- oh!" He suddenly halted and his face broke out into the biggest smile either of them had seen since losing their trainer. "Berry bushes grow when you bury a berry and water it! Anne had some in her backyard for us! If we can find even just one berry, we can bury it in this backyard here-" he pointed through to the back of the house, "-and if we water it every day, we should get a berry bush of our own in like, a week maybe? Self sustaining food source!" That wasn't actually a terrible plan. Made things a little more permanent than they would like though. "That sounds great, and we know a little about farming, but while we wouldn't mind helping you out Kaleo and I can't stay long enough to reap the benefits. We've got someone to find and can't afford to lose time. At best we could stay one more day." Kaleo hated being torn between nice new people and the urge to find Jesse. He liked them, especially the sweet little monkey, and wanted to help them since they had been so nice. But every day they didn't find Jesse was one more day he was further away, and Akamu had already said his scent was so faint here. What were they going to do? Akamu took her up on her offer, "Yeah. We'd...be okay with that, actually." She smiled at the pair before looking up at the sky. She thought she heard Oliver speaking quietly, but since he didn't say her name, she figured he wasn't speaking to her. Satisfied about the lack of predators flying above, she looked back down as Oliver spoke louder with a suggestion. The young chimp had a lot to say on the matter, and Isolde found herself listening intently, "The houses won't have food anymore that's safe to eat. But if there were pokemon here, I bet some of 'em had berry bushes growing in their backyard. The entire town couldn't've been hit by the fire so some of them might still be alive? Even if we don't find any of them in town, the forest should have some; that's what I've been eatin- oh!" The exclamation was followed by his face brightening as an idea hit, "Berry bushes grow when you bury a berry and water it! Anne had some in her backyard for us! If we can find even just one berry, we can bury it in this backyard here-" He pointed towards the backyard, "-and if we water it every day, we should get a berry bush of our own in like, a week maybe? Self sustaining food source!" That.. was a really good idea. That way they wouldn't have to spread out as much to find food. Akamu agreed, "That sounds great, and we know a little about farming, but while we wouldn't mind helping you out Kaleo and I can't stay long enough to reap the benefits. We've got someone to find and can't afford to lose time. At best we could stay one more day." Oh. They were still planning on leaving. Then again, the one they were looking for meant a lot to them. "Good idea, Oliver," she added. To Akamu and Kaleo, she said, "We will apreciate all the help you can give, and thank you for stopping long enough to help." Her antennae twitched as she tried getting a scent that wasn't burnt debris, but she had no luck. "Let's see if there's any bushes in town before we try the woods." Finding their way back in the open area would probably be easier than the forest. "Which direction did everyone come from and did you see much of the area before getting here?"